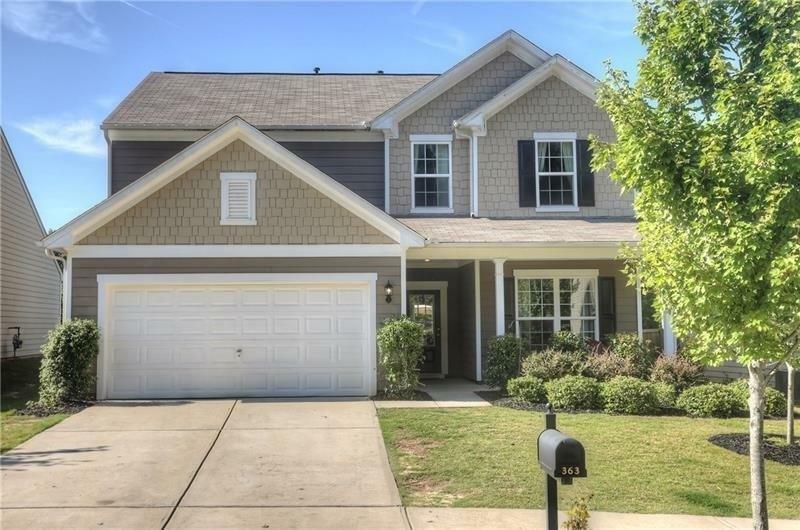 Spacious 4 bed, 2.5 bath home in Harmony on the Lakes! Office & mudroom off of garage. Beautiful eat-in kitchen w/ granite countertops & large island that overlooks living room featuring a stone fireplace. 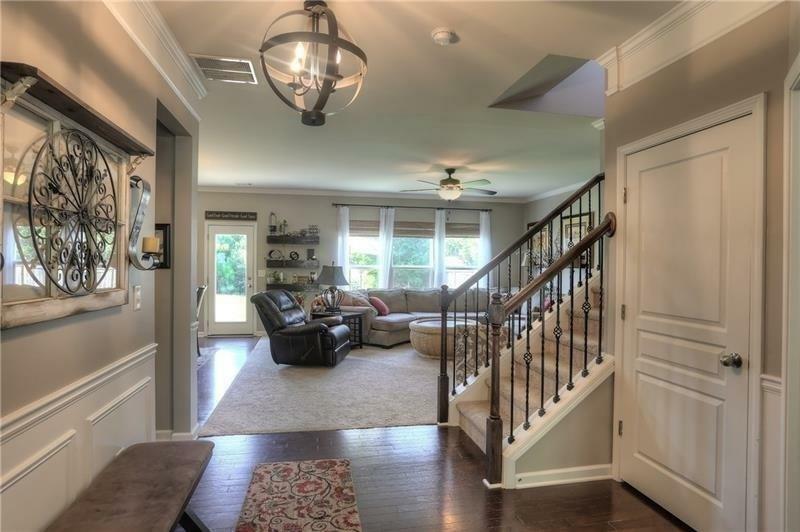 Bonus room off of entry that can be a library, playroom, or formal dining. New flooring on main level! 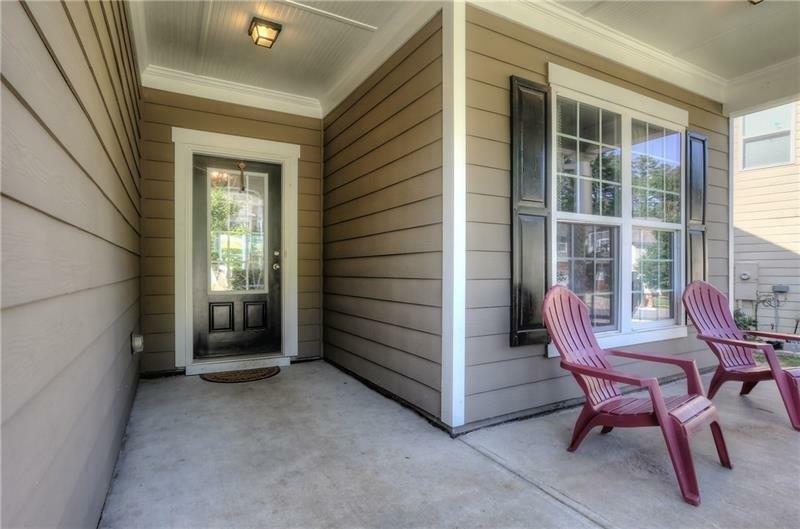 Large bathrooms, bedrooms, & closets throughout the home. Laundry room conveniently located upstairs. Accents include board & batten, shiplap, & crown molding. Private backyard with patio. 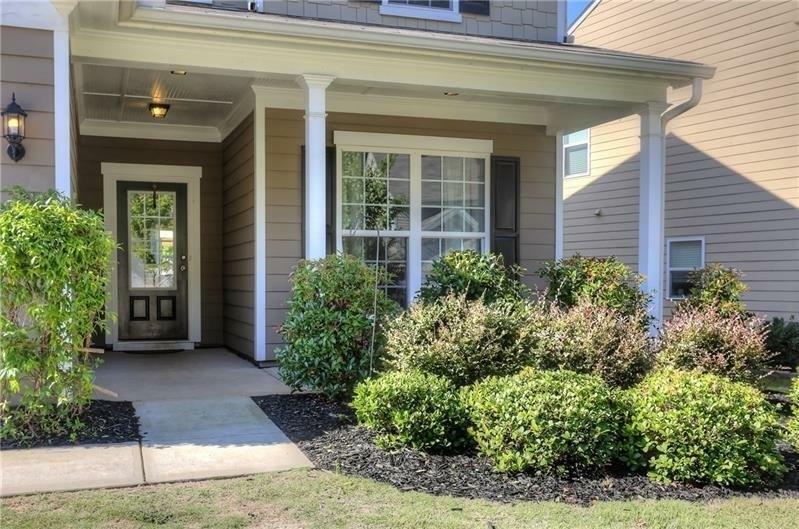 Great neighborhood that offers lots of amenities & top rated school district!